When starting e-commerce there is often an issue of how to create an online store. The best solution is CMS, which enables you to quickly deploy an e-shop in a pre-purchased domain. CubeCart website management system is one of the most popular ones in the e-commerce category. CMS is known for its convenience, easy design and high speed. It allows launching an online retail store with any kind of goods. However, in the long run every e-store faces the same problem of slow web page loading. The reason is the abundance of images that are used in the web design and the design of the item card. To improve this situation there is a plugin for image optimization in CubeCart. OptiPic allows reducing the image size by 70% on average while maintaining its quality and resolution. Website image optimization in CubeCart helps reduce page loading time by 2-3 times, which, of course, brings about positive experience for the visitors. OptiPic plugin optimizes CubeCart images in the background. This creates minimal load on processor and RAM of the server that does not prevent the display of an online store, which will be available to users at any time. How are images optimized in CubeCart? The downloaded plugin for image optimization in CubeCart works with pictures already available on the server, and with newly downloades images of new products. It analyzes the structure of the site for JPEG and PNG files and interacts with them. Then OptiPic analyzes the image code searching for technical data that include shooting and editing time and date, camera and software features and so on. Website image compression in CubeCart allows removing that kind of information and keeping only necessary data. 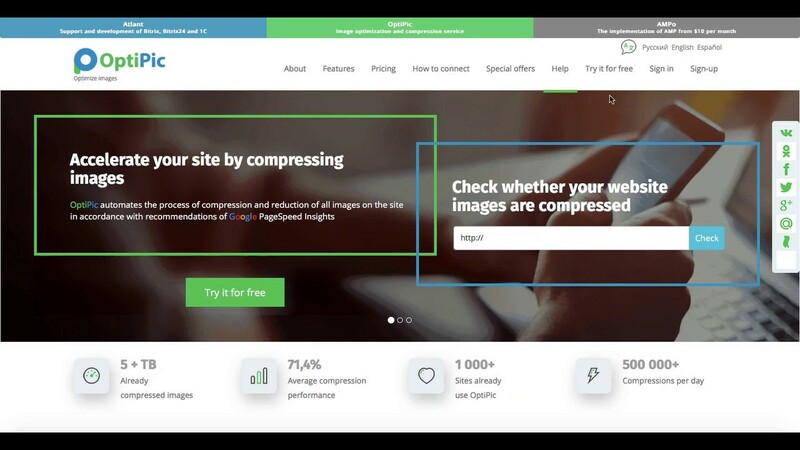 Image compression in CubeCart solves several at once: it frees up hard disk space for the new web pages, helps get a higher position in search results and increases sales conversion. How can optimizing images for CubeCart speed up a site? How to get started with OptiPic service for CubeCart for image compression?